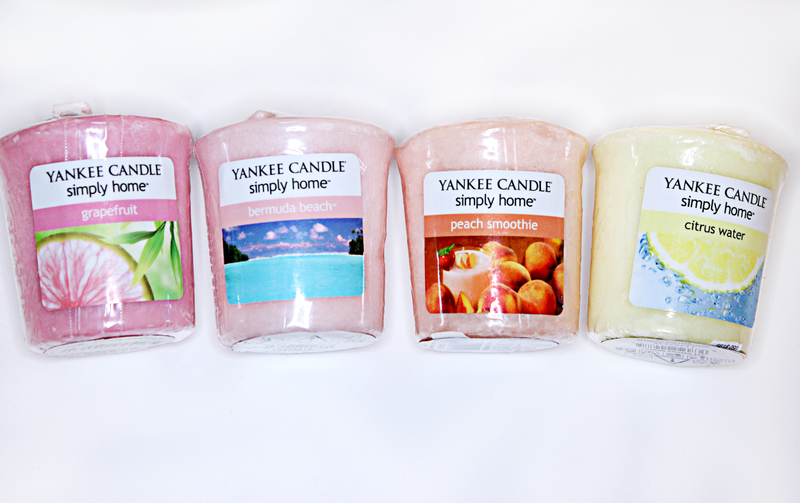 If you are following me, you know how addicted I am to Yankee Candles. I could, literally, burn it all day long, all different scents at once. It burns extremely long hours, even little ones lasts for ages! And they have such an amazing scents to choose from. If I go to my local Asda or Tesco I would never miss candles section. And this time I was over the moon once I saw new collection stacked up on the shelves. I had to try them all. 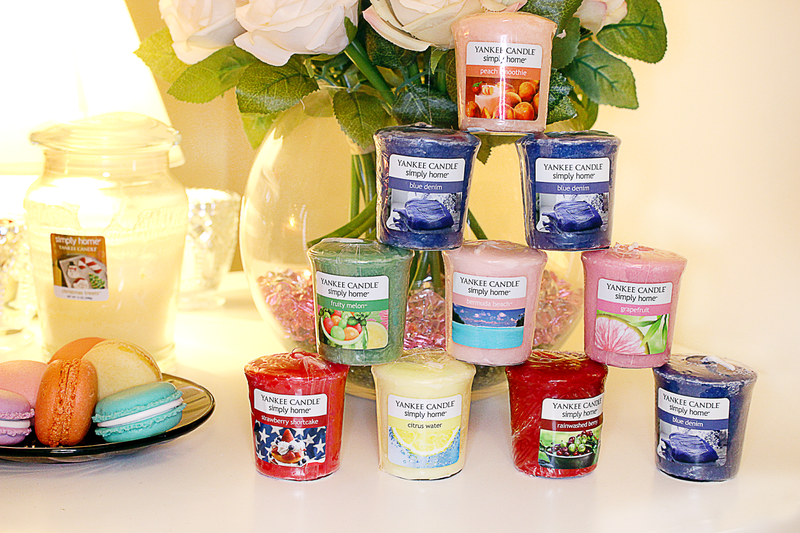 Loads of new smells, all so summery and super fresh. I've picked: Blue Denim, Rainwashed Berry, Strawberry Shortcake, Fruity Melon, Grapefruit, Bermuda Beach, Peach Smoothie and Citrus Water. Some of these makes you want to eat them! haha Mouthwatering and fruity. There was many more, but it wasn't my taste. Yankee Candles always surprises me how well they create those smells, for example Fruity Melon smells exactly like a real melon! And the scent stays for a very long time in the room where you burnt the candle. 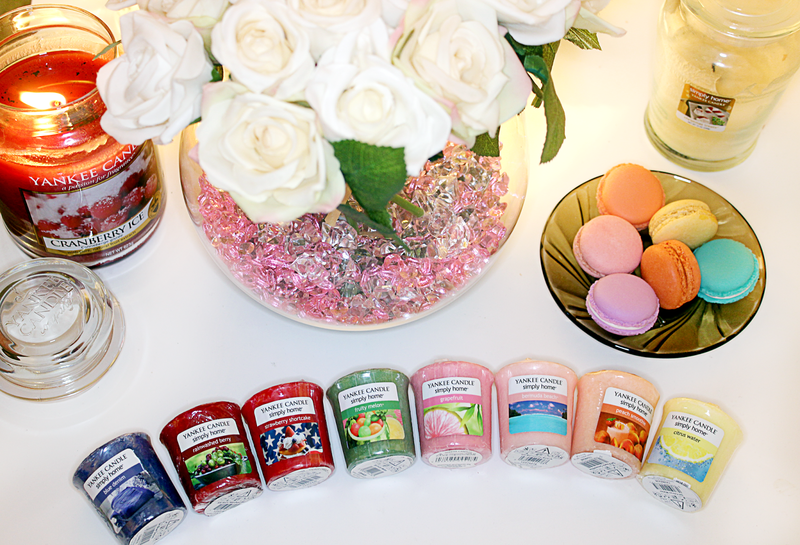 Have you tried new scents yet? Which one is your favorite? Ooh the peach smoothie one has caught my attention! Although i've still 3 big jars of Christmas candles to use up! 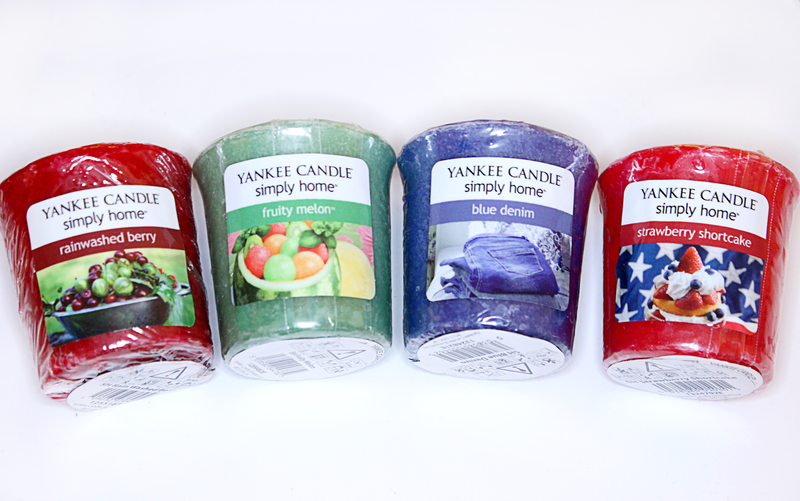 i love candles as well, but i havn't tried the yankee ones yet, not because i do not like the smell but because their quite expensive for a student like me. But I Think I am going to purchase some of the spring smells!